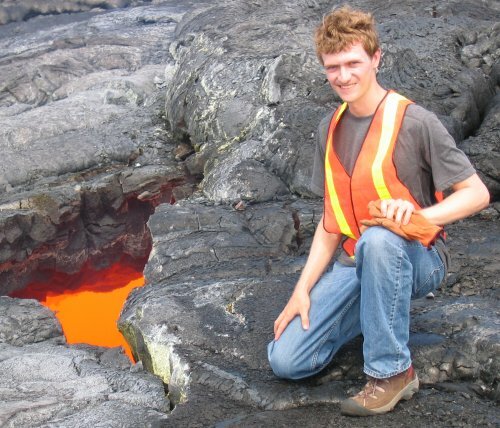 This AGU is the first major meeting since Phoenix died last month, and so everyone has been eagerly looking forward to hearing about the results now that the team can focus on science instead of operations. Emily has posted a nice summary of her notes from the Phoenix sessions, so go take a look and then come back here for what I thought were the highlights. The results presented today were very preliminary, and everyone who gave a presentation emphasized that there’s still a lot to do, especially in interpreting the chemistry data. Now that they have the data, they will be trying to duplicate the observations using an identical set up on earth. One of the most interesting things to me was the discussion of perchlorates. I know they were big news back when they were first discovered, but Mike Hecht gave a good explanation of their properties and implications that cleared things up for me. Perchlorates are found on earth in very arid environments like the Atacama desert in Chile, and are measured in grams per hectare. For comparison, at the Phoenix landing site, Hecht said that it would only take a few handfuls of martian soil to get a gram of perchlorate. Perchlorates are extremely soluble in water, and act as a great antifreeze, making brines with low melting points (-70 C). They also are quite reactive, and when heated they give off oxygen and heat. Hecht said that there is so much perchlorate, and that it is so soluble and reactive with water, that it is possible that perchlorate controls the water cycle on Mars. I also thought it was interesting (if disappointing) that perchlorate ruined the chances of finding any organics: when you heat it up it releases oxygen, which would react with any organic molecules in the soil and burn them up. 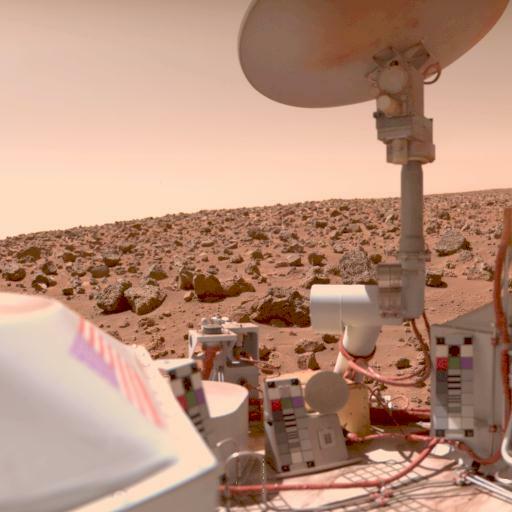 It seems that Mars is still stubbornly hiding its organics from us. Another aspect of perchlorate that I thought was interesting is that it is used as an oxidizer for rocket fuel, since it gives off oxygen when heated. This makes it a potential resource for future Mars missions: astronauts could manufacture their own oxygen just by cooking the soil, and could have a ready-made oxidizer for the return trip. One of the other talks that I thought was especially interesting was Mike Mellon’s discussion of the polygonal terrain near the landing site. He showed that the ice in the soil, which was generally at ~5cm depth, is mostly in equilibrium with the atmosphere. In other words, it was right where we expected it to be. He also pointed out that there are several different scales of polygons visible from orbit and from the surface. The size of polygons in a periglacial landscape is determined by the depth of the ice table, which is affected by climate. So, the fact that multiple sized polygons are visible means the climate has changed since the surface formed, sometime in the last half-billion years or so. Polygonal terrain as seen by Phoenix. Finally, the last talk was by far the most controversial and interesting. Nilton Renno discussed what he believes is evidence of liquid water in the soil. He pointed out that an abundant salt in the soil (such as perchlorate) would be expected to form thin brine layers during the same freeze-thaw cycles that form the patterned ground. During the landing, a few centimeters of soil were blasted out of the way by the rockets, and Renno thought that some brine droplets were deposited on the lander leg. He made the very reasonable obervation that the white spots on the lander leg grew over time, while ice on the ground disappeared by sublimation. If ice on the ground sublimates, you would expect that ice on the warmer lander leg would sublimate faster, not grow. Renno’s hypothesis is that brine droplets on the lander leg sucked up the water that sublimated from the ice on the ground, causing the observed growth. Later in the mission as it got colder, they stopped growing and sublimated away. Could these growing blobs on Phoenix's leg be liquid water? Maybe. Unfortunately, Renno’s talk was the last one of the session, and everyone was so burned out that there weren’t any questions. I think he makes a very interesting argument, and it makes sense to me. There may be a simple explanation for why he is wrong, but I can’t think of it. Still, it strikes me as odd that nobody else has brought this up if it is as compelling as Renno seemed to think it was. Could Phoenix have found evidence of liquid water just centimeters below the surface? Maybe! I’m looking forward to seeing the community’s response to this possibility. Phoenix’s preliminary science accomplishments advance the goal of studying whether the Martian arctic environment has ever been favorable for microbes. Additional findings include documenting a mildly alkaline soil environment unlike any found by earlier Mars missions; finding small concentrations of salts that could be nutrients for life; discovering perchlorate salt, which has implications for ice and soil properties; and finding calcium carbonate, a marker of effects of liquid water. 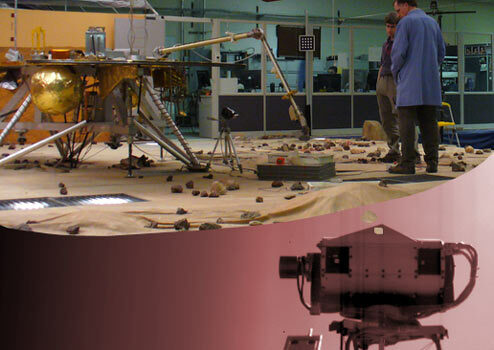 Phoenix findings also support the goal of learning the history of water on Mars. These findings include excavating soil above the ice table, revealing at least two distinct types of ice deposits; observing snow descending from clouds; providing a mission-long weather record, with data on temperature, pressure, humidity and wind; observations of haze, clouds, frost and whirlwinds; and coordinating with NASA’s Mars Reconnaissance Orbiter to perform simultaneous ground and orbital observations of Martian weather. 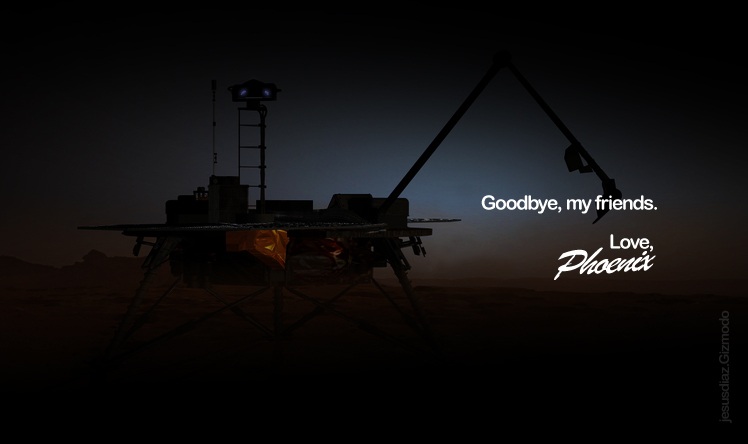 Now that the mission is winding down, the Phoenix lander had broken out of the confines of twittering and is writing a few longer blog entries over at Gizmodo! Comments: Comments Off on Phoenix Blogs!